I retired at the end of May 2018! So, after nearly 50 years as a dentist have decided to finally call it a day. I have a wonderful career blessed by contact with so many lovely people be they ‘patients’, staff, colleagues, dental technicians or members of the dental trade. Needless to say I have seen huge changes within dentistry over these years. 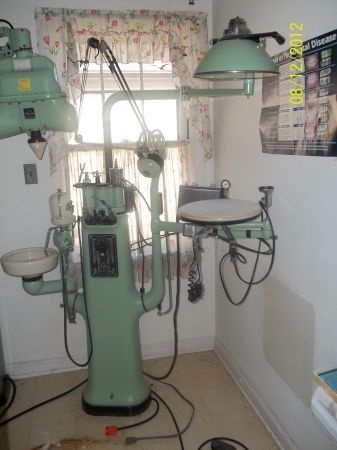 This was the sort of dental chair I worked with in the early days. 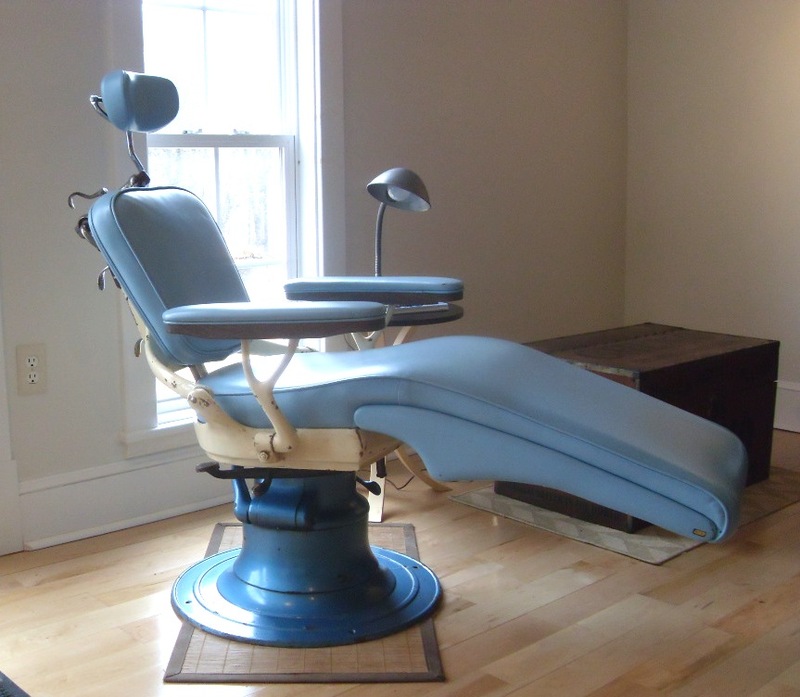 It was based on a traditional barber’s chair and moved up and down hydraulically using foot pedals. The back rest would drop down if needed. Traditionally dentists were taught to work in this sit up position which had untold bad effects on one’s back. I soon realised that working sitting down with the patient effectively lying down was a far more comfortable position. The equipment I used originally was similar to this. Note the ‘crane’ like system which was how the ‘drill’ was connected via a cord to the motor. Great care had to be exercised in keeping long hair away from the rotating cord in case it got caught up in it. Today’s surgery looks more like this. Clean and efficient. Computers handle most things – from clinical and personal records to displaying photos and X-ray images. Dental decay is far more manageable since the advent of fluoride within toothpaste and the general awareness of what to eat and avoid. Our knowledge about the importance of excellent home care techniques utilising toothbrush (electric), floss and tiny ‘between the teeth’ brushes has seen a reduction in the build of dental plaque. The effect of this is to improve the health of the gums and tooth supporting tissues. 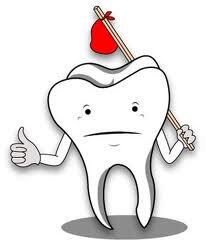 In my early days gum disease was rampant and one of the major causes of tooth extraction. Today, when I left dentistry, my patients had excellent standards of oral hygiene and so can expect to retain their teeth for life (barring accidents). Filling materials today have evolved from those I was using 50 years ago. Amalgam is still in use (although I had moved away from using it for the last 10 years of my practising life). It is still an excellent and very long lasting material but its major drawbacks are the mercury contained within it and of course its unaesthetic appearance. I should add that at the DVI dental clinic in Jerusalem where I have worked as a volunteer for many years, amalgam is the only filling material that is used to fill the teeth of young children. The reason it is used is that it lasts, and time has proven that it works – it has been in continuous use since 1820 after its invention by an English chemist a few years earlier. The early white fillings have been replaced with extremely hard ‘plastic’ composite materials which are now very stable, non toxic and aesthetically very pleasing, especially in back teeth. The use of gold in dentistry dates back to the 2nd century AD in Tuscany, but probably its use as we know it today dates back to 1850. It is still a very useful material with excellent properties especially its non toxicity and strength in thin sections. Dental implants came about through the discovery of the value of titanium in bone. It is probably one of the most significant dental happenings. In 1965 a Swedish orthopaedic surgeon, Per-Ingvar Brånemark, was the first person to place what we now call a dental implant, into a volunteer’s jaw. Titanium is a material that is ‘loved’ by bone resulting in jaw bone ‘hugging’ it tightly so that it becomes a rock solid fixture into which can be built ‘teeth’ to replace missing ones. This has revolutionised dentistry and I consider it to probably be the finest discovery. It means that one can have one or more missing teeth replaced with teeth that are permanently fixed in place. Previously, dentists had to resort to making a ‘bridge’ which was very damaging to other teeth or to provide dentures which are bulky, can move and irritate and also cause damage to the remaining teeth. using this guide the dentist drills a hole in the jawbone to receive the dental implant fixture. after a healing period further moulds are made from which the dental technician can make the new tooth/teeth. So this how I leave the profession. Will dentistry become more and more in the hands of large corporates such as BUPA? Maybe. The plusses being a maintenance of high standards now required by the General Dental Council and such organisations as Care Quality Commission. The minuses will be the increasing amount of paperwork and form filling required. Running costs are very carefully monitored and this will mean a reduction in investment in state of the art technology and the use often of cheaper materials. Staff retention will tend to be very fluid and inconsistent. Patients will often not see ‘their’ dentist on a continuing basis. 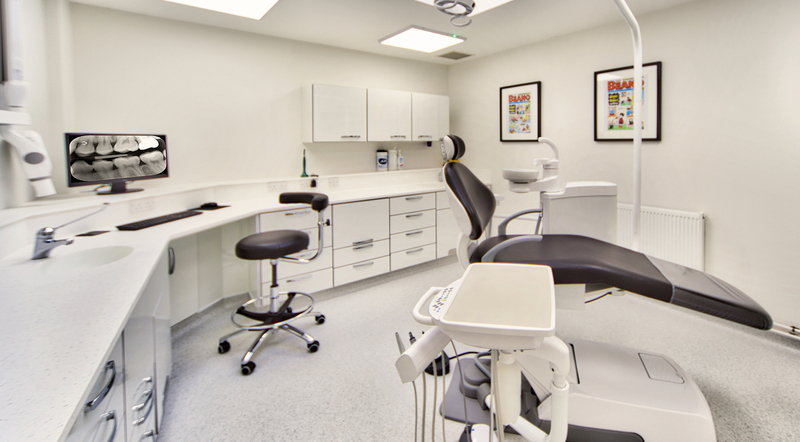 Patients have told me that they miss the intimacy of a small independent dental practice where the staff are constant and good relationships can be built up. A good team will be established for the good of all. However the costs are still high as extra personnel are required for the increasing burden of bureaucratic protocols. These burdens are ones that I will not miss. I have had a great career and I now realise that I was good at my job. To have had patients follow me around my various places of practice has told me that. Some of you have been with me all of my life as a dentist. I will enjoy spending more time with my wife Lynne, when I hope we can travel without rushing back to work on Mondays. We love the UK and hope to explore the beauty of our country. Additionally I have my bridge games, cycling, playing the piano , learning to play the saxophone (lots of noise and squeaks currently! ), voluntary work, discussion groups, socialising and finally not having the worries of the responsibilities of being a dentist. I also want to have have long and healthy retirement. I feel now that I have earned it!